The primary focus of the SSG is on new developments and improvements applied to separation techniques, although reviews and training seminars are also regularly covered. There is an increasing demand for information and meetings regarding topics relevant to analytical measurements as applied in the industrial laboratory. 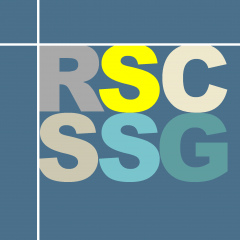 To meet these and other needs of the separations community, the SSG organises lectures, symposia and similar events both as an individual group and in conjunction with other groups whose objectives are consistent with those of the RSC. Past events have been jointly organised with the UK Chromatographic Society, the British Mass Spectrometry Society and other RSC interest groups, including the Environmental Chemistry Group, the Water Science Forum and the Food Group. Since 2008, the SSG has also been recognising outstanding separation scientists by the presentation of the Knox Award, named after Prof John H Knox, the pioneer of modern high-performance chromatographic methods.